Tone 5 offers an Empowerment. 5 represents the Center of the cube, as the intelligent, organizing force, which manages communication, materials, knowledge and application. Tone 5 empowers our faculties of Wisdom, our ability to draw discernment from knowledge and experience. Tone 5 extends the Power of investigation to see to the heart of a matter. 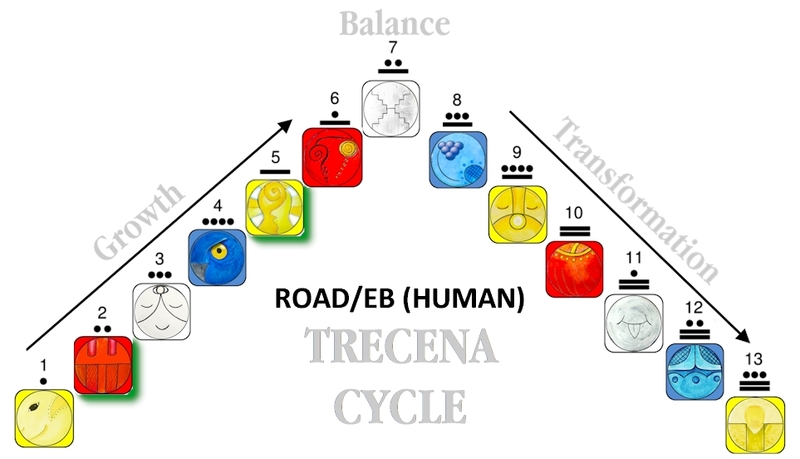 The Storm/CAUAC trecena transformed us by an Inspiration of “Light.” The Road/EB trecena is a cycle of “darkness,” meaning we will be transformed by an application of the Light we received. CAUAC drew our awareness to the “unbridled Power of Light” from Above that connects to the Below. Turning to a resource within we hold the Power we need to complete the Journey to our Divine Destiny. Wisdom/CIB is the Day Sign of our Collective Wisdom, a sign of the Ascended Masters and the Old Ones who made this journey before. This is a day to Honor their path and the inheritance of the Wisdom they preserved for us. 5 Wisdom/CIB (KIN 96) is a Portal Day that thins the veil to the dimension of Spirit. Portals magnify our Spiritual Gifts of Knowing. A Portal can magnify the Power of Forgiveness to open the Road of our Journey to a Divine Destiny. When the student is ready, the Master appears. We’ve been prepared to receive the Wisdom of the Ages to manifest a Dream of living in Peace and Harmony. Stories of Forgiveness have always held the Wisdom for Salvation. Passed down by all faiths that Acknowledge the Divinity of Love, a promise of Forgiveness has elevated Human hearts from one generation to the next. The Tzolk’in represents the Road for the Transformation of Human, sharing the 13 Sacred Steps of Creation. The Day Signs guide a way of Meaning and Purpose to “bear the time” it takes to remember to exist in Consciousness of the Creator. CIB reminds us to Honor our Grandfathers and Grandmothers by paying attention to their Wisdom. Their Wisdom was born from experience and they preserved it for us so our way might be easier than theirs. CIB reminds us that our own experiences are an archeological treasure. Our memories hold their value by all we can continue to learn from our experience. Forgiveness is the Key that unlocks our Treasure of Wisdom. The Elders said that to be successful in an effort of Spiritual Growth requires courage to look within. When we don’t forgive, so have we failed by claiming a reason to withhold our Love. Through Forgiveness we offer one another a chance to start over. Forgiveness acknowledges that our value is greater than the error of our ways. When we Forgive, our minds are opened to see things more clearly. We can see that we have failed by withholding our Love. Even with good intentions we fail. We can avoid resentments when we choose to look for the Light. We can create what we believe we will find. When we are looking for Light, we don’t take things personally. “Love covers a multitude of sins.” Instead of resenting, we would choose to believe that no harm was meant to us. Through our Forgiveness, others are given the same courage to look within. When we’re forgiven there’s no need to defend a position to prove we deserve to be loved. When we are forgiven, we’re more willing to look at things from both sides. The Creator’s Unconditional Love offers us the Freedom to see that we can still be Divine, in spite of our failures. It’s Divine to be Forgiven by another Human Being. Human forgiveness is a Gift we can give and receive in the here and now that builds Faith in the Creator’s Love, Love that reached down to soften a Human Heart. We create Love by acknowledging that Humans fail, and that we have failed. Without Forgiveness our Human device is to defend our failure. Then, nobody feels better because we’ve defended a reason why another was justifiably overlooked. When we withhold our Forgiveness, we are forgetting the Unconditional Love of the Creator, who’s Divine Justice is greater than any harm that could ever come to us. We can’t even remember the greatest Love in the world. The words of Wisdom that were often shared by my Grandmother Naomi were, “You can catch more flies with honey than with vinegar.” Everything we do, every response to life experience can be elevated by this simple truth. Someone once put it that you can say anything with a smile on your face. One of the blessings of email, or any written exchange, is that we can look at it more closely to see what we are actually saying. It’s helped me change the way I express myself when I face a conflict. When I’m asked for more than what is fair, my first draft is a defense for what I can’t do. The whole tone of the message is changed when I turn it around, “Here’s what I can do.” I didn’t have to take offense or establish blame of an unfair demand. I can forgive them if they delivered it that way. 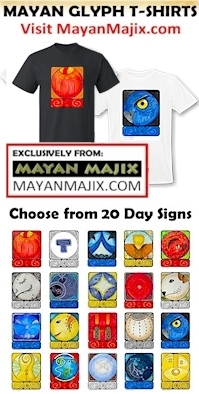 The Cherokee Day Sign of the Owl stands for the wisdom and ability of all great hunters – “the cunning of a fox, the tenacity of a bulldog, and the strength of a bear.” The Owl holds a torch aloft to find our return path to the stars. Forgiveness is a Power for living that will help our Soul survive the journey of our Inner Growth, and all the better when we keep our Sense of Humor. Forgiving our Self, we can keep trying, over and over again, grateful for the Wisdom of the experience. To all my relations, may our hearts be softened toward one another. May we Understand how we all fall short, so that Human failures don’t have to cause suffering and resentment. I’ve heard a lot of Elders say to “think before we speak.” We can also think before we respond from our Human emotions. May we remember the Wisdom shared by our Grandfathers and Grandmothers. They are Honored when their advice is passed on to our own children. May we share our own Wisdom of Forgiveness and the Salvation it brings. May we come as the student ready to learn from every experience. May we be grateful for the Power of a Divine Creator who Always Remembers and whose Love never fails. May we aspire to be as generous in our Offering of Forgiveness. I’m grateful for all the forgiveness I’ve received that has never been known or acknowledged.